This is the most important icon of Dubai. 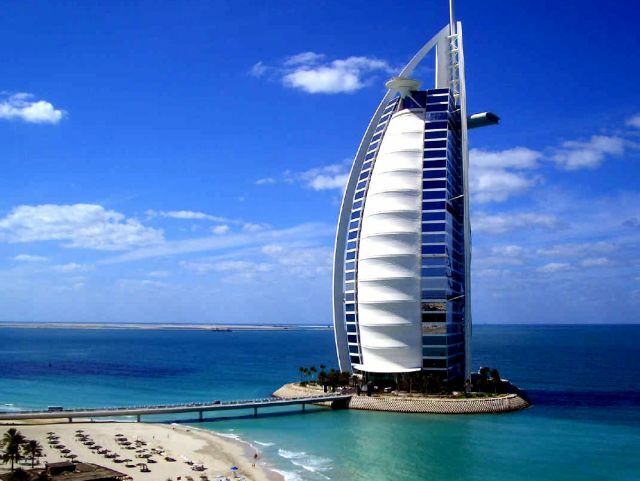 Burj al-Arab is a luxury hotel located in Dubai, United Arab Emirates. Building the Burj al-Arab, designed by Tom Wright, reached an altitude of 321 meters, 66 floors and is the tallest building is fully used as a hotel. 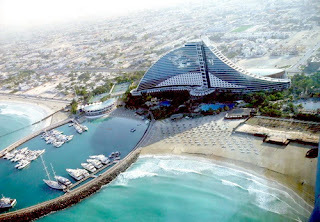 The building stands on an artificial island located 280 m offshore in the Persian Gulf. Burj al-Arab is owned by Jumeirah. Besides above the ocean waters, the high tower also features with a special dish of cocktail Skyview Bar, underwater restaurant, seven-star hotel rooms and an outdoor tennis court. Burj al-Arab become the most famous tourist attractions in Dubai. Jumeirah beach is the most famous beach tourist attractions in Dubai. This beach stretches to 7 km, divided into seven beaches and each beach stretches miles and length. 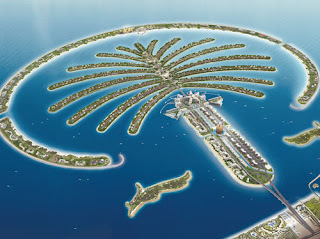 Two Coast fused in each Jumeirah Park, and Wild Wadi. 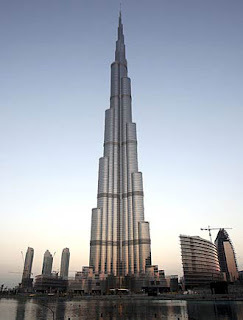 Burj Khalifa is an example of the highest and most wonderful architecture. Tower, 153 floors high touch the sky in the city of Dubai. This building includes part of the hotel, office space, Residential Apartments with all luxury facilities. 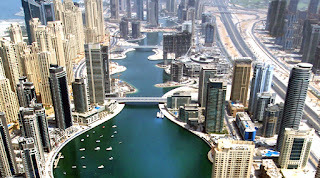 It was the wonderful tourist attractions in Dubai. 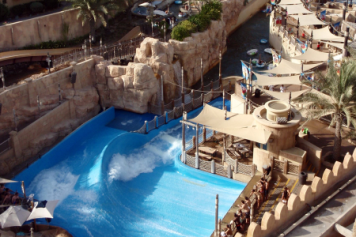 Wild Wadi Water Park is located on Jumeirah beach. The beach is dedicated to the water playground, and the Water Park are giving you enjoy free time for sightseeing water. Children could enjoy many rides here. 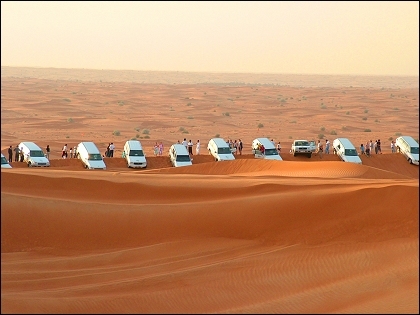 In this tourist attractions you will find unforgetable experience. This is the most famous gold market in the world, therefore the city is called "Golden Land". Markets lined with gold shops where you can get a variety of gold in various of quality rust. Not only gold, in these markets also sell a range of perfumes, spices and cloth. 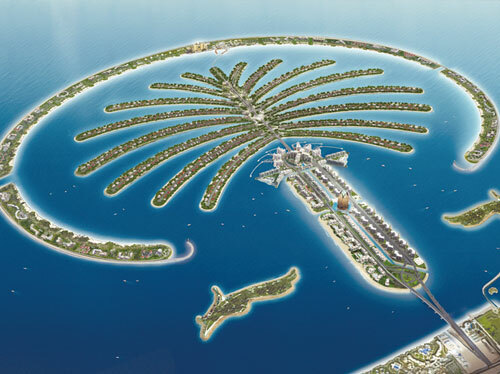 Palm Jumeirah has everything you need to enjoy the extraordinary holiday. Included in it are the names of world famous hotels, tourist attractions are wonderful, luxury fashion and shopping centers. Do you just want to relax or engage in a holiday full of recreation and entertainment, this is a place that is truly inspiring to visit. Its very amazing island tourist attractions. In addition to riding a camel, desert skiing (Sandboarding) and other natural roller coaster, here you can enjoy a puff shisha (Arabic tobacco) while watching the belly dancers in action. 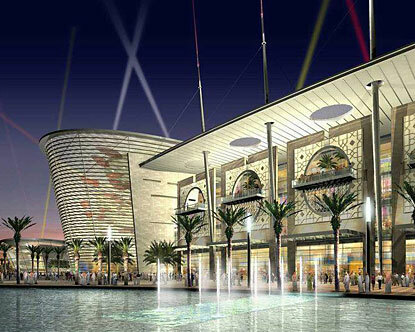 Dubai Mall is the largest shopping center in the world by area. This mall is part of a complex Burj Khalifa. It even has a large aquarium in it. 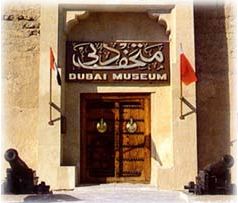 The best way to understand the meteoric transformation from desert to the megalopolis Arab settlements in the Dubai Museum. A variety of unique dioramas, weapons, tools, costumes in an old fort and other archaeological findings also existin this tourist attractions. 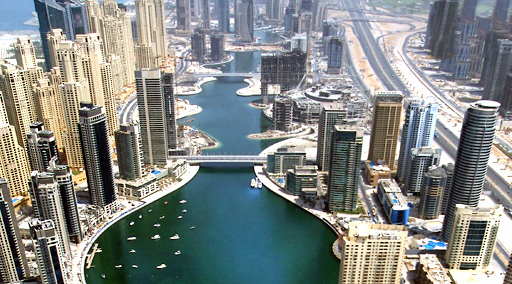 those are a little information about top Dubai tourist attractions. Hopefully it can help you for planning your vacation in Dubai. Happy vacation.